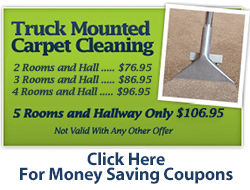 Has the sun faded your carpet color, do you have bleach spots or stains in your carpeting? In many situations carpet dyeing can remedy these problems and provide a cost effective alternative to carpet replacement. Our carpet dyeing service can be used with residential and commercial carpets and is safe and effective. 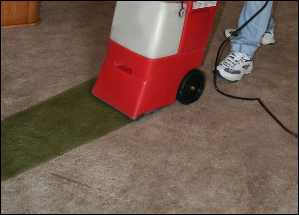 Capital Carpet's skilled technicians can bring your carpet back to its original color or dye the carpet a completely different color. Our experience and technology used with carpet dyeing in Wayne County Michigan has distinguished from other carpet dyeing companies. 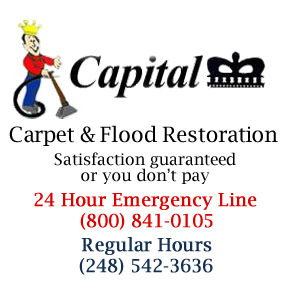 Capital Carpet's dyeing service can restore residential and commercial carpet that you may not have thought had any other option except replacement. If you want to give your commercial or residential carpets a fresh look and want to avoid the cost of replacing them, carpet dye may be your solution. Carpet dyeing is a low cost alternative and can give you the appearance of new carpeting. For all of your residential and commercial carpet dyeing needs in Wayne County, Michigan, call us today. We're the local carpet dyeing experts with the experience to get the job done to your satisfaction.